The Pasifika Media Association (PasiMA) yesterday afternoon launched its pioneering regional online media training course, the Pasifika Trainer. 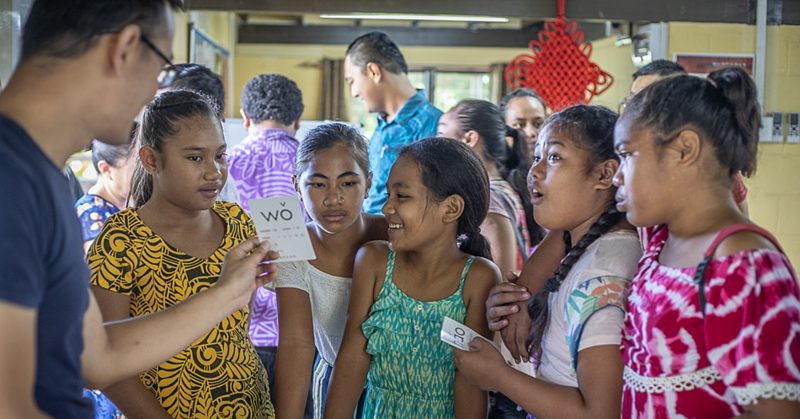 Held at the Samoa Observer newspaper office at Vaitele, the launch was attended by Prime Minister, Tuilaepa Dr. Sa’ilele Malielegaoi, Honorable Members of the Diplomatic Corps, Representatives of the Media, and distinguished guests. Pasifika Trainer is a robust training programme with modules covering a wide range of media and journalism topics, the course was designed to strengthen the capacity of regional media professionals, promote community media, and build organizational capacity to deliver online training to a broad range of Pacific media professionals. The PasifikaTrainer course was not envisioned to supplant or compete with academic journalism training courses. Rather, it is intended for working media professionals who need to brush up on media skills or attain a more comprehensive understanding of specific media issues. It is a resource that can be dipped into as a quick reference, or reviewed in its entirety, module by module. “The PasiMA board of directors sees ongoing media education as a priority need for effective regional media development. As the Pacific region’s professional media organization of independent media owners, operators and principals, PasiMA has responded to this need by developing the innovative Pasifika Trainer on-line training initiative”, said PasiMA Board Chairman Savea Sano Malifa. The first phase of course development was funded by the British High Commission in Honaira, Solomon Islands. The project proposal was developed with the assistance of Martin Hadlow, Adjunct Associate Professor in the School of Communication and Arts at the University of Queensland School of Journalism and Communication. Funding was approved by H.E. Timothy Smart, then UK High Commissioner to Solomon Islands, and Tom Oppenheim, Deputy High Commissioner, and work on the project’s Phase 1 began in early 2012. Further course development was funded by PACMAS, the Australian government’s Pacific Media Assistance Scheme, through its Innovation Fund established to provide funding support to Pacific Stakeholders and development partners that play a role in media and communications in the region. The project’s Phase 2 work began in late 2013. Course content was developed by a team of Pacific regional journalists led by journalism educator Dev Nadkarni, with technological implementation by David Leeming, an educational technology expert in Honiara. 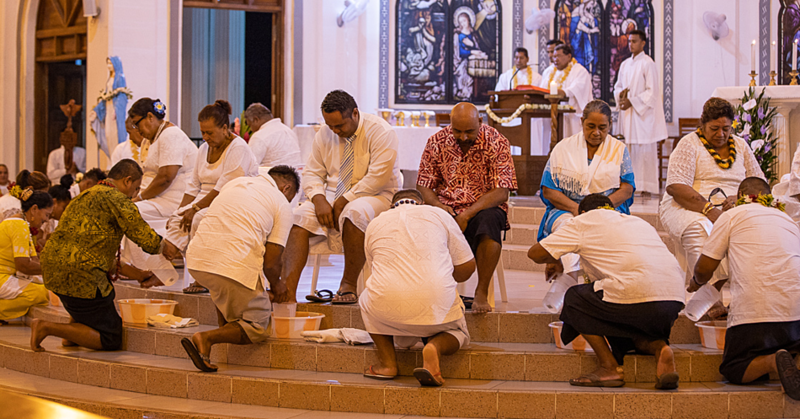 The course, which is grounded in Pasifika culture and values, features three major area of media capacity. PasifikaReporter is training module designed to provide existing professional journalists with the additional skills, knowledge and expertise required to venture deeper into the important field of investigative reporting. Using the resources, experiences and mentoring of peers in the Pacific (and globally) who are already working in this area, PasifikaReporter will serve to upgrade professional skills in investigative reporting, op-ed and editorial writing. PasifikaMediaManager is a capacity building programme designed to deliver ‘real world’ skills to prospective (and existing) media owners, managers and staff in subject fields such as establishing sustainable business models, general administration, law and legal issues, human resource development, income generation through advertising sales, new media, marketing and PR, accountancy and management. The third module, e-Pasifika is a training and capacity building programme for media proprietors and staff in the generation of ideas and the furtherance of the development of multi-media platforms and the use of social media (Facebook, Twitter etc.) in both developing commercial viability and increasing news and information flow. PasiMA urges media employers to participate in the training program by allowing participants time to pursue their studies, and by providing connectivity at the workplace, outside of working hours is necessary. Future course developments will include matching journalists with local or overseas mentors, which will help deliver better value content to media operations. The future expanded services will be available exclusively to PasiMA members. The course can be viewed at: http://e-learning.pacific-media.org/index.html and the course will also be available via DVD. 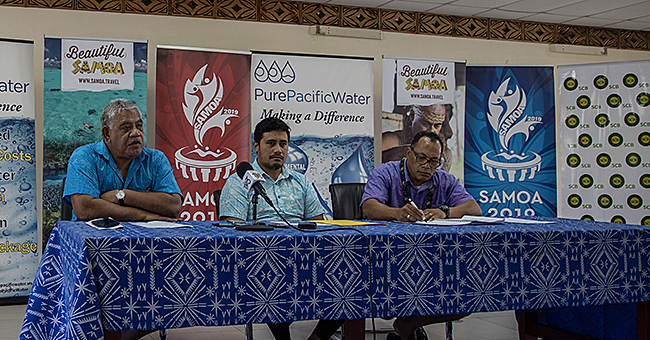 PasiMA is guided by a 7-member Board of Directors, led by an Executive Committee that includes Savea Sano Malifa (Editor-in-Chief of Samoa Observer), Kalafi Moala (Publisher and CEO of Tonga’s Taimi Media Network) as Vice Chair and John Woods (Managing Editor of Cook Islands News) as Secretary-Treasurer. 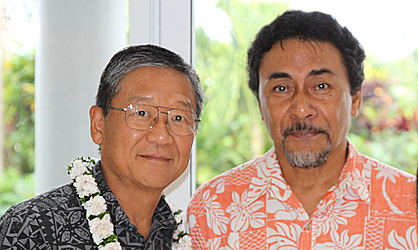 PasiMA’s website (http://www.pacificmedia.org) features a real-time feed of Pacific news from content providers around the region, as well as updates on critical media freedom issues in the region.